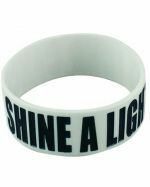 Have your promotion stand out from the crowd by utilising some of our unique wristband or dog tag products. These colourful wearables make affordable gifts without compromising on your marketing exposure. We brand each wristband or dog tag set with your approved logo design. Techniques we utilise in the branding process include pad printing, digital printing as well as debossing and laser engraving. Ask our friendly sales team which branding option is the best choice for the particular product you require. 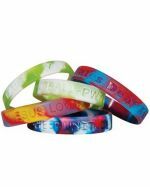 What makes branded wristbands and dog tags stand out among promotional products is just how cost effective and colourful they are. 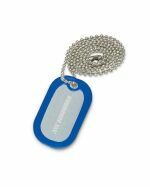 You can select from an extensive array of wristband colours and designs, or if you're after a more subtle look, our dog tags come in a range of stylish standard colours. 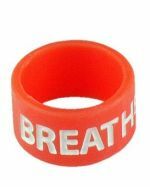 Because we produce our wristbands and dog tags in bulk, our prices are the best in Australia. 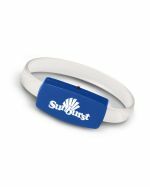 Promotional Items is Australian owned and operated, which means we can brand and deliver your promotional wristbands and dog tags quickly without compromising on quality. 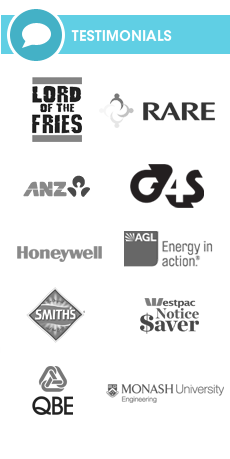 Our production team has decades of experience in branding to ensure excellent results every time. Order today to enjoy a standard two week delivery time frame to most Australian locations. If you need your wearable promo goods faster, just let our sales team know and we will work towards your deadline. 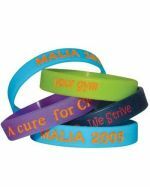 Wristbands are an increasingly popular form of low-cost promotion. 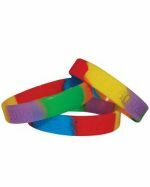 They are colourful bands, usually made of silicon plastic or rubber. They are designed to stretch over a hand and fit around the wrist. Promotional messages are etched and/or printed onto them for a colourful and attractive promotion. 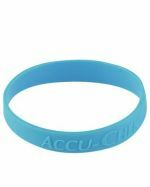 Due to their low unit cost and colourful appearance, wristbands are a great way to get your message out there and seen. Because they are made of a non-porous substance, they are safe to wear against the skin and can be easily cleaned with a damp cloth. 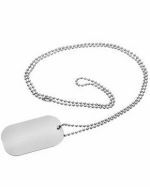 What are Promotional Dog Tags? Dogtags are simply metal or plastic tags that have been imprinted with a logo or other message. They are usually attached to a metal split ring, meaning that they can be hung from backpacks, keyrings, golf bags, desk drawers, lanyards, USB keys and, yes, even dog collars. With your organisation’s logo branded onto their surface, these colourful wearables make affordable gifts -- without compromising on your marketing exposure. Who Wears Silicon Wristbands and Metal Dog Tags? 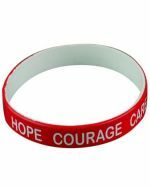 Charities, community groups and schools are some of our keenest clients when it comes to bulk orders of promotional dog tags and wristbands because of how affordable and easily customised they are. 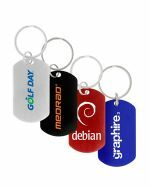 Their low unit cost is the key to their success as a promotional sales item or giveaway. Let your supporters help fund your organisation, and proudly show off just how much they appreciate what you do. 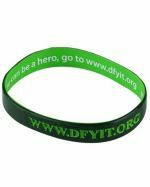 Grab a promotional product that students, kids, charity supporters, and event attendees love when you order these wristbands and dog tags for your organisation. 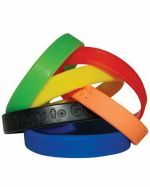 How Can My Organisation Use Branded Wrist Bands and Dogtags? There are a number of ways these fun wearables can be used. 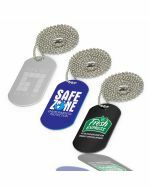 Businesses can slip a wristband or dogtag into a vendor bag at a trade show, or give them out as premiums to loyal customers. Charity organisations can have volunteers sell them during fund raising drives, or leave boxes of them for sale at local shops. 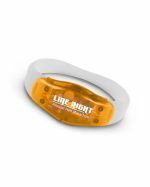 How Will We Brand Your Custom Wrist Bands and Dogtags? 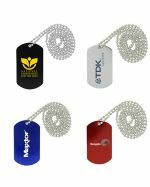 We brand each wristband or dog tag set with your approved logo design. Techniques we utilise in the branding process include pad printing, digital printing as well as debossing and laser engraving. 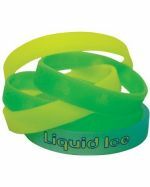 Wristbands come in a vast assortment of colours including Black, White, Red, Blue, Purple, Pink, Yellow, Green, Orange, and Rainbow. 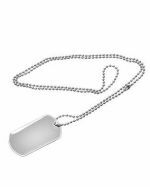 Dog tags are available in standard Silver, but we also produce them in beautiful full colour featuring your design upon request. Between the incredible range of colours and the range of branding possibilities, it is easy to find the look that best suits your promotional message. Ask our friendly sales team which branding option is the best choice for the particular product you're after.